We work hard to bring you the best voucher deals available and often exclusive to Winesdirect. These deals offer vouchers to suit most requirements. We have vouchers that let you chose your own wine, and ones that promote pre-selected discounted wine cases, other act as an introductory offer to join a wine plan or a wine club. We check them regularly to ensure they all work! So here's a guide on where to find the best online voucher wine deals perfect for you. Wine vouchers are available from most of the wine merchants on Winesdirect, and many of them are aimed at generating new customers for our merchants. So if you have not purchased from a wine merchant or supermarket online before, you are likely to get a very good deal by purchasing from them for the first time. The reason is they want your custom, and they are happy to offer you an extremely good deal to get your business for the first time. Most of these vouchers allow you to chose your own wines and champagnes (some are linked to wine case deals) so you can often buy wine and champagnes already reduced from one of our merchants and save up to an additional £100! Some of our wine merchants offer voucher which can only be used once for existing customers. This often occurs during the most competitive times for the year such as Christmas, where merchants want existing customers to place their Christmas wine and champagne order with them. 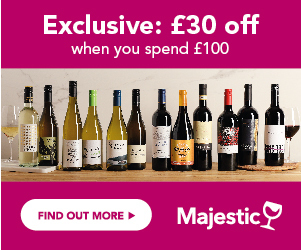 These vouchers tend to offer lesser rewards than the new customer vouchers but when used in conjunction with already reduced wines, can bring together some really good deals. A few of our vouchers are to tempt you to join one of our merchants wine clubs. These are clearly labelled on the Wine Voucher table and all of the wine clubs and wine plans on our website allow you to cancel immediately without any penalty. Because you are agreeing to join a wine club, these offers are usually offer the greatest saving. Most of our merchants offer some great mixed case deals, where the case is already reduced and you can receive a further saving as a new customer making some of these deals real bargains. This could be the best deal for you if you prefer to have the wine experts select the wine for you. We show you a range of deals showing you the price per case, per bottle and the saving, and have a range of deals to suit a range of budgets. When you subscribe to our vouchers offers email, we will alert you as soon as we have a new voucher available on the website. Merchant - Which merchant this voucher code is associated with. Spend - How much your spend has to be before the discount is applied. Voucher- The amount you save when you enter the voucher code. Actual Spend - How much your spend has to be after the discount is applied. Wine Club - Whether you need to sign up to a win club to use this voucher code. New Customers Only - Whether you need to sign up as a new customer to use this voucher. Reveal Voucher and Visit Site - You have to click on this link and we will show you the code and take you to the website. More Voucher - See if this merchant is offering any other vouchers. I hope you find this helpful and please send me any feedback you have to jrebuck@winesdirect.co.uk. If you find these articles helpful, I will send out another one next week on wine.